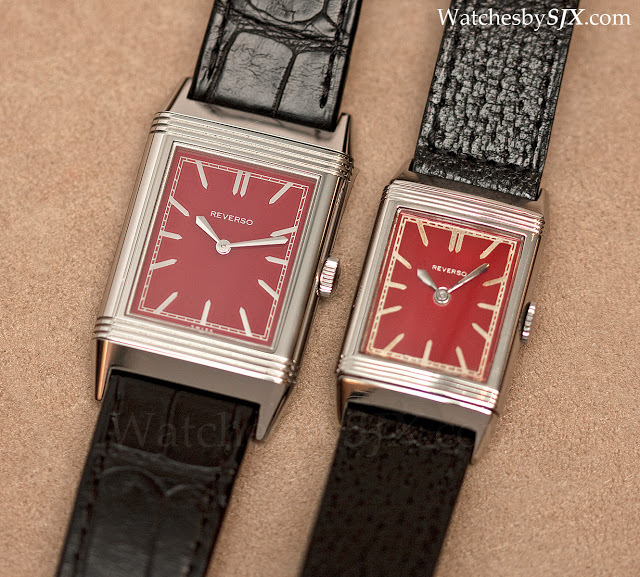 Last year’s Jaeger-LeCoultre Grande Reverso 1931 was a big success and so the variants have multiplied, including enamelled versions launched at SIHH 2012 and even a limited edition for the TV show “Mad Men”. 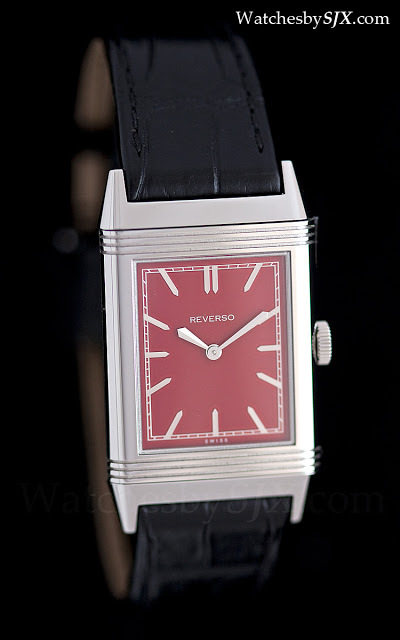 One of the most striking versions is the Grande Reverso 1931 Rouge. 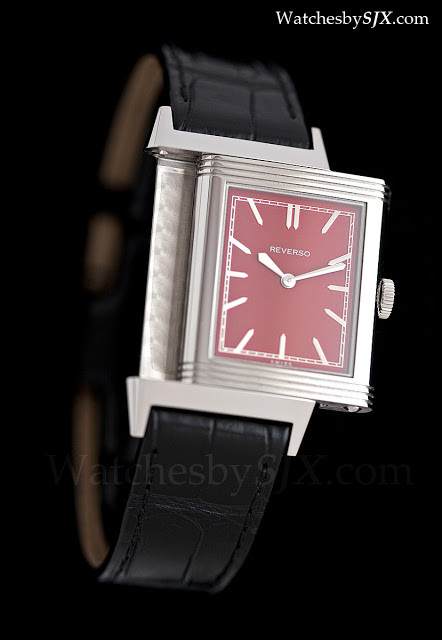 In the thirties JLC made the Reverso with various colourful dials, in addition to the more common black or white. 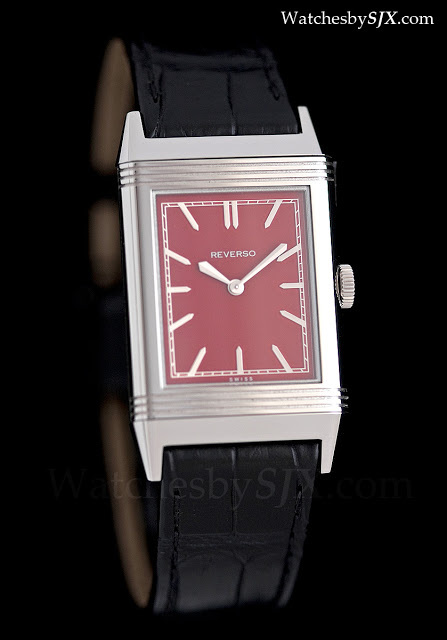 The Reverso Rouge is a remake of a uncommon Reverso with a red dial. 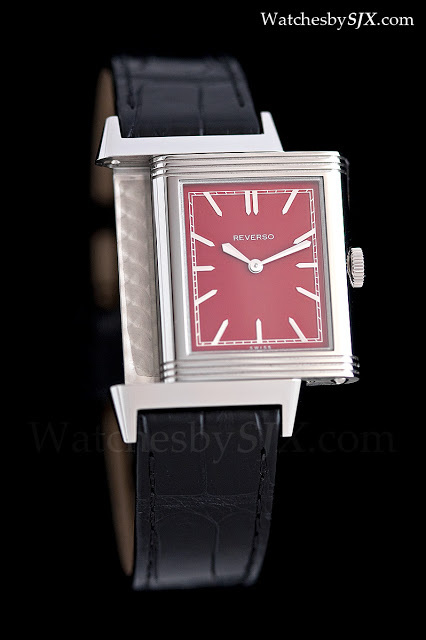 The Reverso Rouge has a glossy red lacquered dial with painted silver markers. 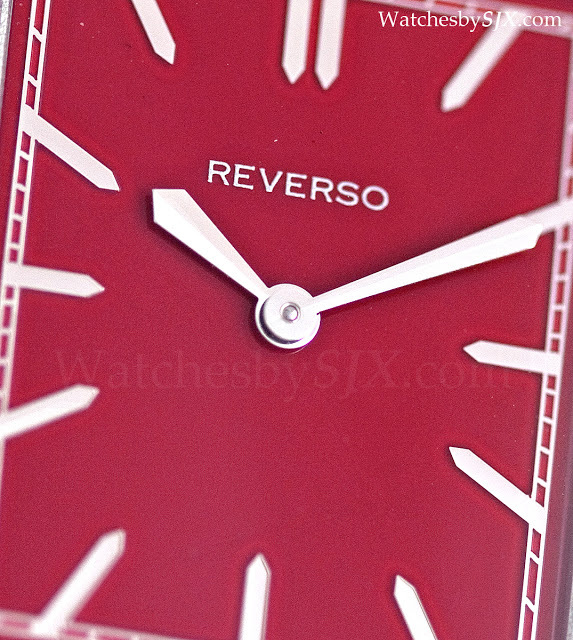 The dial is a muted red tone, oxblood in colour that will work equally as well as a man’s or lady’s watch. On the other hand the original had luminous markers. 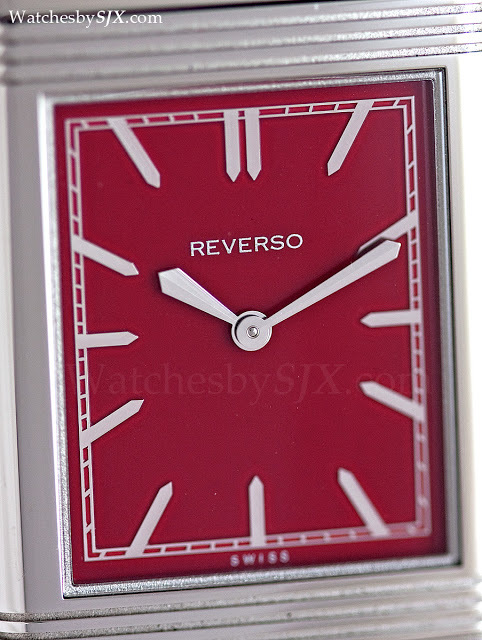 And the shade of red used for the original is also slightly brighter. 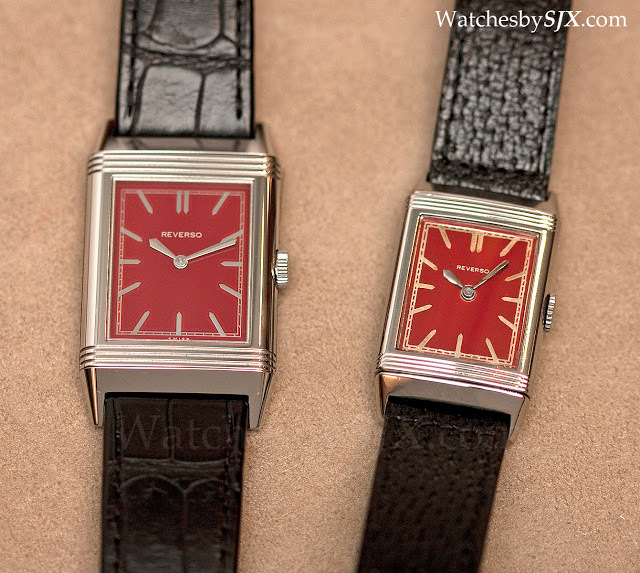 The Reverso 1931 measures 46 mm by 27.5 mm, while the original from the thirties is a dainty 38 mm by 23 mm.